Some 25 million Americans fall victim to consumer fraud each year, according to the Federal Trade Commission. Seniors are ripe for the picking, experts say, because they are perceived to have retirement nest eggs ready to raid. Bamboozled has spotlighted some of these scams in recent weeks, including one in which the intended victim is led to believe he’s won a Publishers Clearing House sweepstakes. The story spurred David VanDenburgh to detail how his father, Roy VanDenburgh, regularly fell for scams in his later years. Roy VanDenburgh died in June 2014, shortly after his 86th birthday. VanDenburgh said he wanted to share his story to alert all of you in light of recent comments made by readers. After Bamboozled recently published stories on scams, several people contacted us or commented on the stories on NJ.com criticizing the victims, saying they should have known better and may have deserved what they got. But VanDenburgh said even the most savvy, intelligent or informed individual can fall for the scams. 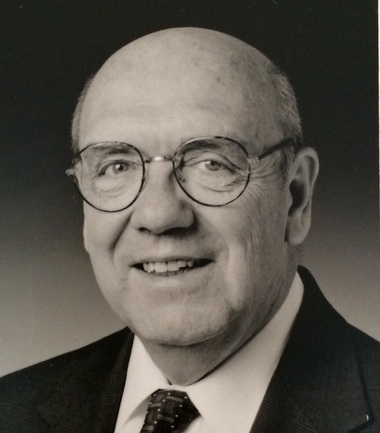 The elder VanDenburgh was a smart, college-educated man, his son said. He retired after more than 40 years of work with a computer company, and served for 25 years on committees for a well-respected non-profit that has worked on standardization issues for business. He said his dad became susceptible about three months after the death of his wife, David VanDenburgh’s mother. Unfortunately, the younger VanDenburgh said he didn’t realize what was going on until a lot of money was long gone. The younger VanDenburgh said he then tried to intervene. In a two-year period, his dad’s telephone number was changed eight times, each time to a non-listed, non-published number. The scammers found him anyway, he said. Eventually, the majority of the elder VanDenburgh’s assets were placed in a living trust, controlled by his son. Law enforcement has a very hard time keeping up with the scams. Many are perpetrated overseas, and the way in which the scammers ask for money make it very hard to track the payments. We’d like to say there’s an easy answer to stop the crimes. There’s simply not. So instead, take a lesson from VanDenburgh. Talk to your elderly relatives and help educate them. Ask them if you may monitor their accounts as a precaution, or perhaps convince them to consult with you before making any transaction involving a large sum of money. Of course, you may encounter some hesitance from relatives who want to protect their privacy, and some may suspect you’re the one out to take their money. Visit the web sites of the Financial Fraud Enforcement Task Force and the AARP’s Fraud Watch Network for some great educational material to help you speak to your elderly loved ones, and while you’re at it, share with them this story. Have you been Bamboozled? 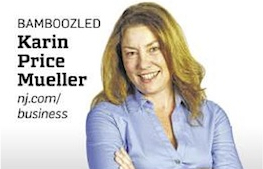 Email Karin Price Mueller at Bamboozled@NJAdvanceMedia.com.